Save 20% on our newest product, Dream Water Beauty! Going fast, available while supplies last! 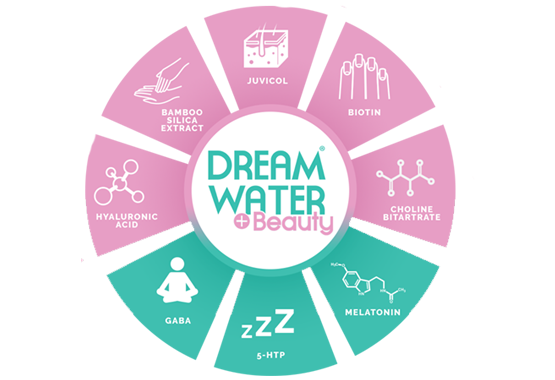 Dream Water Beauty is a beauty sleep aid that helps you naturally fall asleep while also supplementing the body with clinically researched ingredients that have been shown to improve skin conditions, reduce eye wrinkles, boost collagen, thicken hair and strengthen nails. 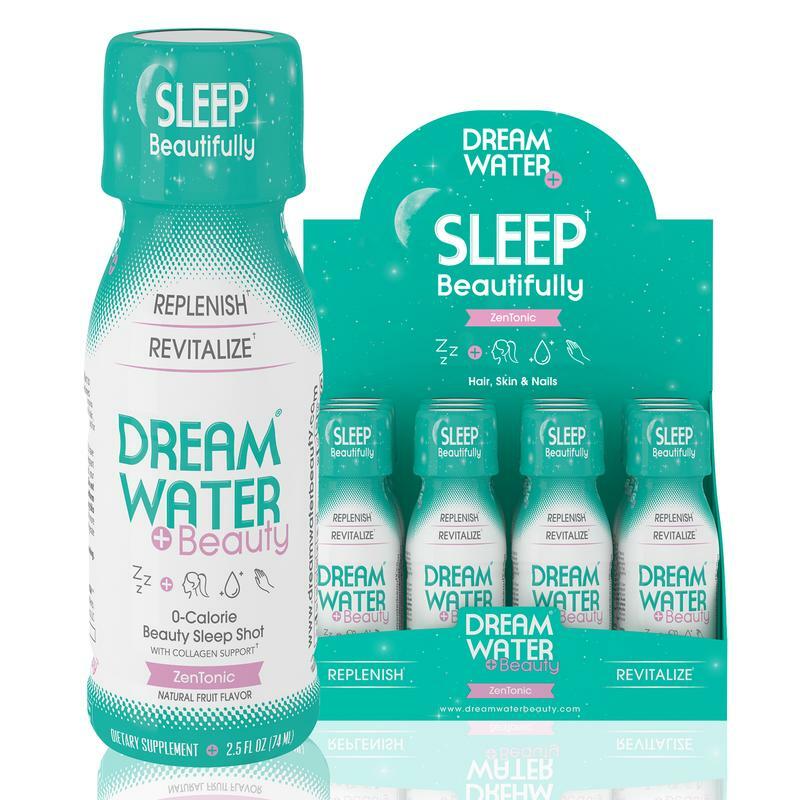 With Dream Water Beauty, you receive beauty benefits, as well as a great night’s sleep, thanks to our SleepStat Natural Blend of Melatonin, GABA, and 5-HTP. Dream Water Beauty was created to help supplement your beauty from the inside out by simplifying your nightly beauty regimen. TRY DREAM WATER BEAUTY TODAY AND SLEEP BEAUTIFULLY. A great night's sleep powers you with strength to conquer tomorrow's tasks. Provides the energy you need for life's challenges, & the vitality to celebrate your achievements. Copyright © Dream Water LLC. All rights reserved.